If you've ever wanted to see apples become cider — or better yet, turn them into cider yourself — stop by an upcoming event at Philip Foster Farm. 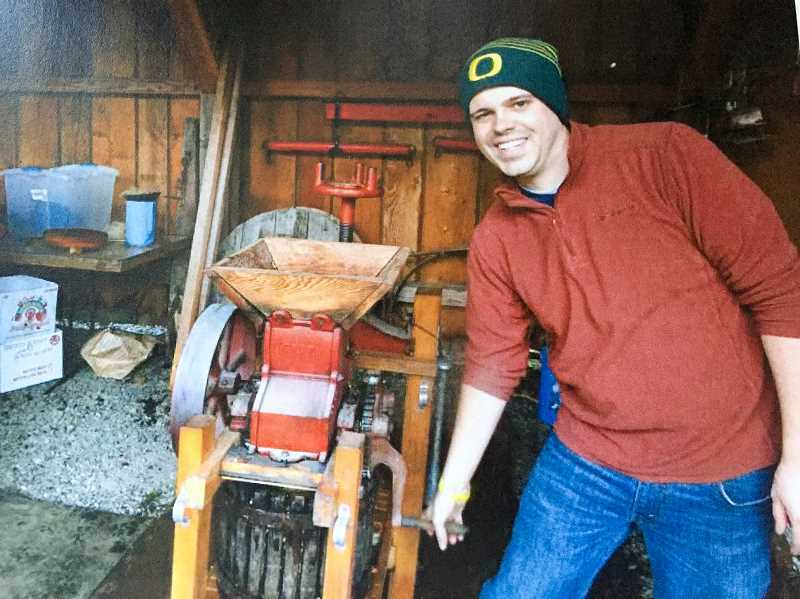 The annual cider squeeze is scheduled for 10 a.m. to 4 p.m. Saturday, Sept. 15, at the National Historic Site, 22725 S.E. Eagle Creek Road. Admission is $5 per person or $20 per family. Participants can squeeze up two gallons. Those who wish to squeeze more can attend the bulk squeeze from 2-6 p.m. the following day. The majority of the presses must be cranked by hand, providing a fitting old fashioned feel at the historic farm. Event attendees can press their own apples or ones they acquired from the farm. During the squeeze, pressing cider from your own apples is $3 per gallon and pressing cider from the farm's apples is $6 per gallon. One-gallon jugs of cider are $1 and pre-pressed, pasteurized cider is $7 per gallon. Jennifer Goldman of Philip Foster Farm enjoys watching attendees participate in the festival's activities. "I love watching everybody press the cider. The kids take the apples and mash them into a machine and then have something to drink," Goldman said. "You can buy cider, but this is watching the whole process." A new addition to the event this year is a square dancing demonstration from the Boring-based Country Cut-Ups. Goldman noted that a barn dance at the farm 15 years ago inspired one of the club's leaders to join the organization and described their returning as coming full circle. The day will also feature pioneer-era games for children, including sack races and an activity called "Graces," in which participants try to catch a hoop with a stick. Visitors to the farm will also be able to see local history. After journeying from Maine in 1843, Philip Foster, his wife Mary Charlotte and their children welcomed many of their fellow travelers at their farm on the historic Barlow Road in Eagle Creek. The 640 acre property featured a store and places for weary travelers to stay. "There's food, music, games and apples," Goldman said.